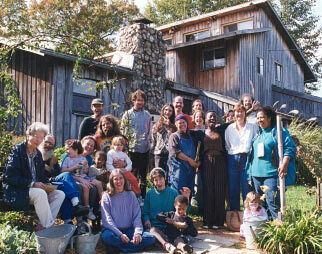 Why do intentional communities matter? It’s been a big year for us, and as the new Executive Director, I want to ask for your help. Humanity faces an enormous challenge: How to equitably and peacefully share finite resources and create a meaningful, satisfying society for all that is seamlessly integrated into the natural world. The recent COP21 in Paris shows that the world recognizes this challenge. Intentional communities (ICs) are positioned to be an important contributor to this conversation. ICs are places where the transition to a cooperative, just, and sustainable society is often accelerated and deeply practiced, and where the benefits can be seen and articulated. ICs are one player in a much larger, global movement towards cooperative culture. The FIC is here to serve ICs, as well as serve as a liaison between ICs and this larger movement, facilitating an exchange of mutual aid and lessons learned. Help make the FIC as effective as possible in this role. We have several projects right now that need your help. The Communities Directory: Right now we’re running a crowdfunding campaign to overhaul the Communities Directory and produce a new print version. Please pledge your support and share the campaign with your friends. Our Green Office: This year we purchased Allium, one of the original straw bale buildings at Dancing Rabbit Ecovillage. This is the new headquarters for our Community Bookstore, as well as other admin functions. Please consider making a donation to help us pay off the mortgage. 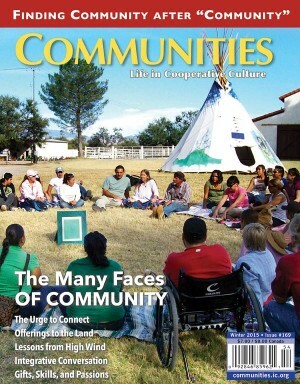 Intentional Communities Online: Since 1994, the Intentional Communities website has been a vital resource for the communities movement. The site forges community around the globe, helping build and shape connections that provide hope for the future. Help us continue to improve and expand this important platform. It’s an honor to be the new Executive Director of the FIC, and I look forward to my first year serving the movement in this role. Feel free to write me with feedback and ideas on how to improve the FIC and our programs. Best wishes for 2016!